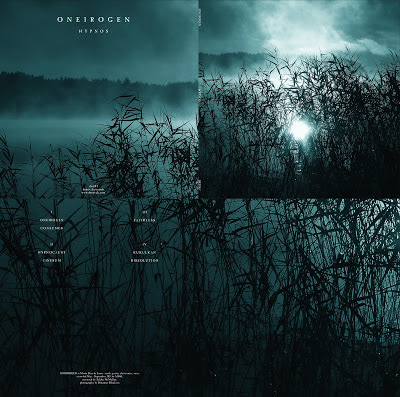 Oneirogen is the experimental ambient/drone/electronic project of New York City artist and multi-instrumentalist Mario Diaz de Leon, who, besides playing in Oneirogen, has also composed a variety of other solo works and played in classical ensembles. Needless to say, Mario is an inspired and very talented musician, but I think what I appreciate most about his work is that it is of great vision, possessing a depth that is unique in these styles of music. Oneirogen has inspired comparisons to Tim Hecker and Sunn O))), and while those are amazing artists to find one's name along side of, no comparisons can or will tell half the story of what is to be found on these two records. The full-length album, spread across two gorgeous pieces of 180-gram vinyl (and on CD/digital), is called Hypnos, and as the title may indicate to you, is a mesmerizing, and yes, hypnotic record full of ethereal, rhythmic synths, washes of droning noise, crushing distortion and an atmosphere whose highs and lows create an otherworldly and hallucinogenic sound. What is most impressive about this record is that it doesn't allow itself to get comfortable; it explores the light and the dark equally, as well as everything in between. 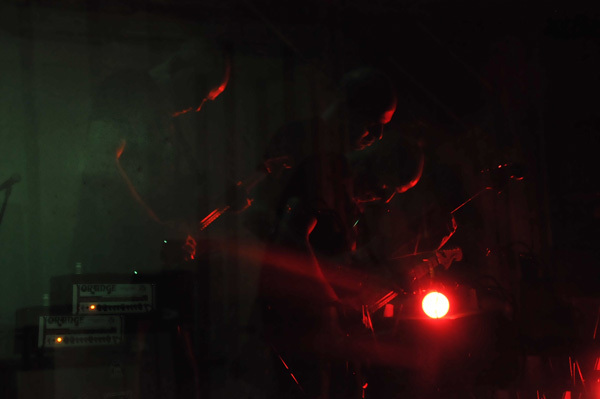 Bleak passages of electronics give way to minimal segues of ambiance, only to knock you unconscious with pulsing synthesizers. No relaxation, no comfort, no sitting still. The sound is dramatic, and at times almost cinematic, but never pretentious or overbearing. The grand gestures of musical eloquence never prevent the record from sounding organic and heartfelt, which is not always an easy task when one possesses the talents that this man seems to have. The other album is Veni Nox Anima, an 18.5 minute EP that to me is clearly the darker of the two records. The fantastic cover art on this may tell you that before you hear a note, but once the records starts, you're not convinced right away that this is a very dark record. The first 40 seconds of the first track, "Excoriate," are downright pretty, before giving way to some brutal electronics and distortion. And for most of the rest of the record, chaos is the name of the game. The second track, "Reveal," features some fantastic synth work over top of the ambient textures, accented by by guttural vocals that wouldn't be at all out of place on a metal record. The 3rd and final track, "Veni Nox Anima," brings the album to a close rather adeptly, bringing together the best parts of the first two songs (sans the vocals). 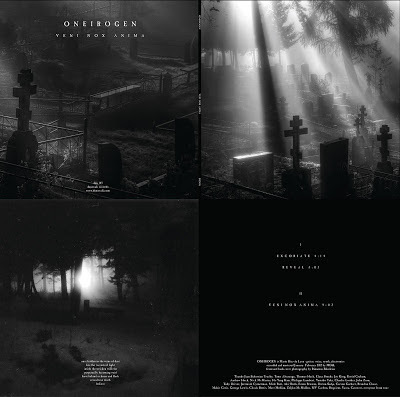 Both these albums were mastered at 45 rpms, pressed on 180-gram vinyl, and come in high-quality gatefold packaging that has become the norm for Denovali. Friends in Europe can get these direct from the label, but folks in the US would be better-served to grab these from our friends at Experimedia. 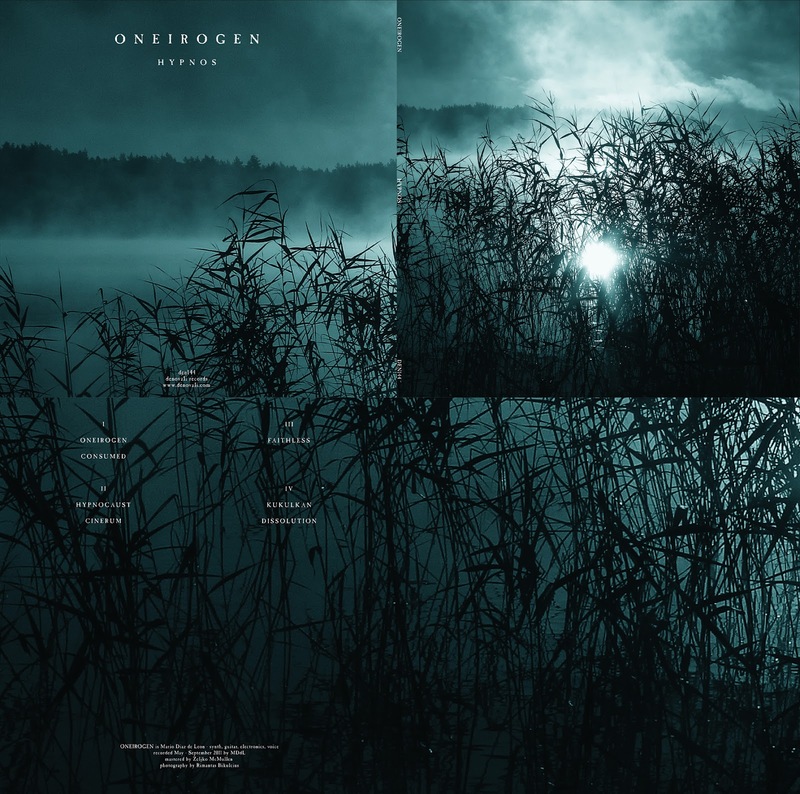 For more info on Oneirogen, check out the Facebook page, and for more info on Mario Diaz de Leon, go here.